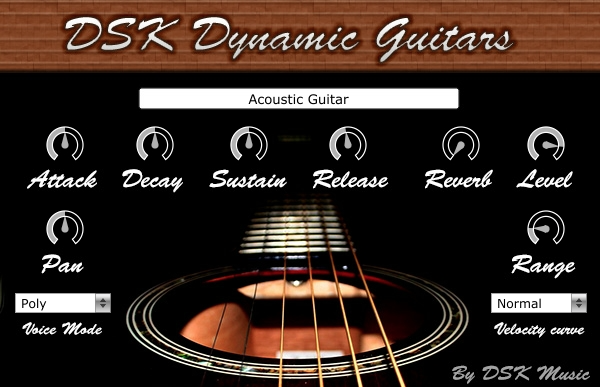 DSK Dynamic Guitars, Virtual acoustic guitar from DSK Music. 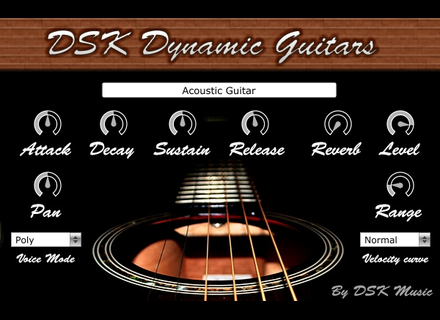 DSK Music offers this week three virtual guitars in a single plug-in for Mac OS X and Windows. Dynamic Guitars is a 32 and 64-bit VST and AU for Mac and PC comprising an acoustic, a nylon string and a steel string guitars. You can control an ADSR envelope, pan, amplitude range, velocity curve, dynamic velocity response and even get an extra effect reverb. All this for nothing, ready to be downloaded from www.dskmusic.com. IK Multimedia bundles and special offers IK Multimedia helps you list your Xmas gifts with three new special priced bundles and a 50% discount off its iOS apps. New Twisted Tools library and Thanksgiving offers Twisted Tools celebrates Thanksgiving with a special promotion and launches a new sound design sample library. D16 Group announces its Black Friday deal D16 Group anticipates and announces the program for the Black Friday, with a special offer on the Classic Boxes Collection.